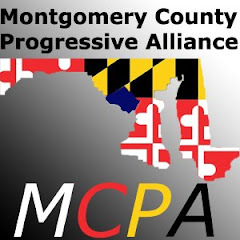 The Montgomery County Democratic Central Committee's Spring Ball is Saturday, May 7, 2005 at the Indian Spring Country Club from 6:30 to 8pm will be the reception and silent auction, at 8-10pm will be the dinner/program/dancing. For tickets, Contact the MCDCC at 301-946-1000. This is the MCDCC's biggest annual event, and lots of state and local Democratic celebrities will be there. The silent auction is the fundraising part of the event. We are looking for volunteers to: solicit donated items from individuals, organizations and/or businesses; help set up the auction during the day; and to help man the auction in the evening. We are looking for donated items for the auction, which can be anything from retail coupons, books, videos, political memorabilia, tickets to sports or cultural events, a stay at someone's vacation condo, artwork, etc. Those interested in volunteering and/or donating something for the auction should contact debbiecoburn@aol.com.